If you have missed the first part to my story, read it here. The place in question is CETTM aka MTNL Guest House. Located at the heart of Hiranandani Powai, this place is primarily a Training Center and offers its guest house to everyone from foreign national professionals to desi professionals in the Telecom field. I have lived in the area for more than a decade now, and although I knew the building quite well, I had absolutely zero idea that it was in fact a guest house. The only time I frequented their premises was to drop in a complaint about my MTNL Landline Bill ! From the past few years, CETTM has been generous enough to open its facility to all govt. officials be it for self-purpose or to in-take overload from other institutions. Take for instance IIT Bombay. During Mood Indigo season (it’s the annual fest of the institute), the campus itself is not able to absorb the huge crowd from all over that comes to attend the festivities. So students, performers and faculty guests can all avail this facility for their comfortable stay. Off late, CETTM is now also accepting bookings from outsiders (meaning non-govt. people). This worked out just perfectly for me. Their rates though not subsidized-subsidized as such, are definitely worth paying given the amenities and the prime location. Guests can simply walk out of the facility to find themselves surrounded by local shops, restaurants and parks all in 1-1.5 km radius. There is everything from your Fashion Street stuff, to Colaba Causeway jewellery and a host of restaurants catering to everyone’s taste buds from Chills to Papa John’s, Starbucks, Krispy Kreme and a whole lot more. I knew for a fact that my guests would thoroughly enjoy their stay here and I wouldn’t have to do much in entertaining them either. A big plus point! Another big advantage here is the food cost. From an average per person food cost starting at just a mere couple of hundreds per day (<500 non-veg), this price is something that you can find NOWHERE. I can assure you! The food includes everything from a good spread for breakfast to buffet lunch & dinner, along with tea and snacks provided. The minute you walk into the facility, it feels like you are in a different place. Leaving the hustle-bustle of the city life, this place is indeed very peaceful surrounded by trees and ample nature all around. It gives you a sense of total privacy as the busy suburban chaotic life is left outside the gates. They also have a good set of amenities from an outdoor pool to club house. But keep in mind that the host has to book these for the guests in advance. When I saw the place, I just fell in love with it. I decided that there is no better venue to have my Mehendi & Sangeet. Not only does it solve my problem of transporting all my guests from one location to another, all my friends and folks can easily walk down for an evening of fun and enjoyment prior to my big day. The club house is a fully air conditioned venue which can intake easily a 200+ crowd -> more than what I intend on inviting for my pre-wedding functions. The authorities allow you to book the club house in two ways either for 6 hours or for 12 hours slot. The rent is a little steep (~ 50k) but definitely worth given the floor space. Ooohh and I missed the most important part! You know how in weddings it’s not really the most ideal situation to have just the hotel type option (as in just 2 in a room). It doesn’t really work out right? Both economically or otherwise. Well, CETTM understands that and gives you the alternative to opt for unfurnished rooms where you can additionally go for the gadda system and have 4-5 people sharing the room. Isn’t that amazing!!! Not only does the cost get taken care of, this way you can have all your cousins & siblings share a room and have a total dhamaal time together. As for me, we have taken a mix of both furnished and unfurnished rooms so that if in case the number goes up or down, we don’t have to worry. Also, remember the part where I said I wanted a farmhouse feel to my wedding. Well, this may not be the ideal farmhouse but it matches to that to a large extent. We have decided that my family and me included will move in to the facility 2-3 days prior to the wedding and have both our side family (mine and fiance’s) stay together in the same guest house. So for those of you going through the same thing as I was couple of weeks (months) back, now you have an option with you right inside the city. Do let your parents know of this facility if in case they are also frantically searching for an affordable yet comfortable stay for their guests. Here’s the rate card which I had in 2015. Please note that the charges may be different now. 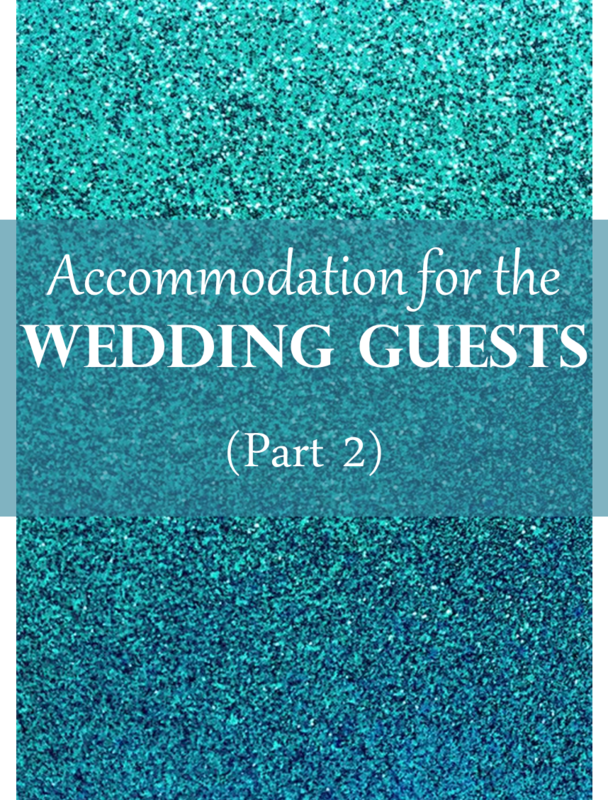 How have you planned the arrangements for your Wedding Guests?